1Digital Agency is a group of expert Ecommerce guru's that specialize in website design, development & digital marketing based in Philadelphia, PA. We focus on platforms like Volusion, Bigcommerce, Shopify and others. We’re a group of design innovators, development virtuosos, and digital marketing fanatics with a passion for eCommerce that runs deep. 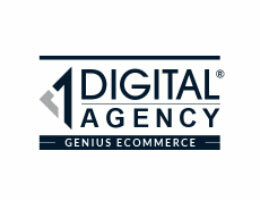 Headquartered in Philadelphia, 1Digital has unparalleled experts devoted to every piece of the eCommerce puzzle. We invest in long term partnerships with serious eCommerce merchants, for serious eCommerce success. At 1Digital, we see boundless opportunity in the eCommerce industry, and the limitless potential in every store.